Kinetech Arts Featured Artist Presentations are a showcase for creators, artists, scientists, makers and thinkers to discuss their work and life. They occur on the last Wednesday of each month. There is a $5 suggested donation. 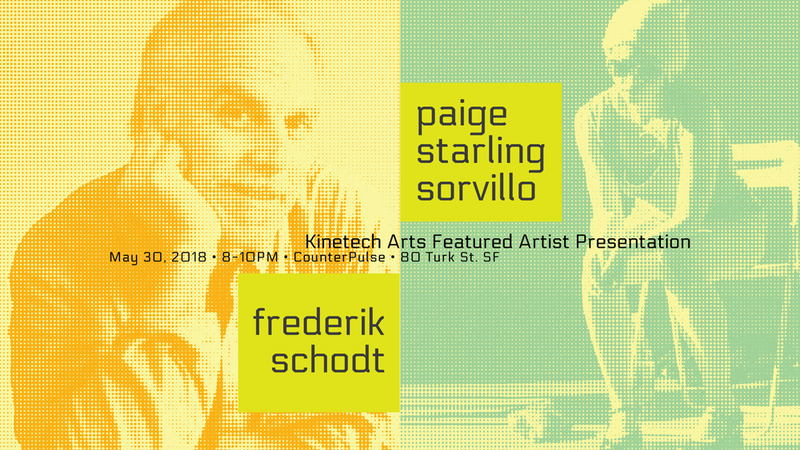 This month Kinetech Arts is proud to present Frederik Schodt and paige starling sorvillo. Frederik Schodt is a translator and interpreter of Japanese. He is also the author many books related to Japanese culture, from Manga, politics, robots, history and more. He will talk about his book "The Four Immigrants Manga: A Japanese Experience in San Francisco, 1904-1924", his translation and reprinting of a long-forgotten manga (cartoon) by Henry Kiyama, recounting tales of four Japanese immigrants in turn-of-the-century San Francisco. paige starling sorvillo is a choreographer and improvising performing artist based in Oakland who creates movement, object, and atmosphere via association games. Sorvillo has been honored to be a resident artist at E|MERGE, CounterPULSE, Djerrasi, CESTA, NOHspace, The Milk Bar, and Subterranean Art House. On May 25th & 26th sorvillo with perform a research work on/in anonymity and the state of presence generated in/by absence at Theatre of Yugen (aka NOHspace).